The latest edition of The Almanac of British Politics has been thoroughly revised and updated to include full details of the new constituencies following the comprehensive boundary changes which will come into force throughout the United Kingdom at the next election. It has firmly established itself as the definitive guide to the electoral map of the UK for nearly twenty-five years, covering in detail each of the constituencies sending representatives to the House of Commons. 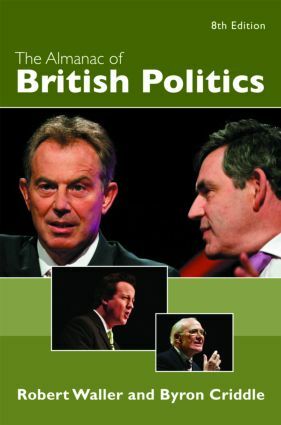 Its comprehensive coverage provides a witty and informative biographical profile of every Member of Parliament and a detailed social, demographic, economic and political analysis with statistics of seats to give the clearest picture of the British social and political landscape in the twenty-first century. This is the essential reference work on British politics for students, academics, journalists and psephologists.